Boko Haram Islamists have published a video showing three kidnapped members of an oil exploration team, after an ambush in northeast Nigeria earlier this week that killed at least 50. In the four-minute video, the trio identify themselves as being from the University of Maiduguri and call on the government to meet the jihadists’ demands in exchange for their safe return. The men were part of a Nigerian National Petroleum Corporation (NNPC) team on a mission to find commercial quantities of oil in the Lake Chad basin when they came under attack on Tuesday. “I want to call on the acting president professor Yemi Osinbajo to come to our rescue to meet the demand,” one of the men said on the video, which he said was shot on Friday. 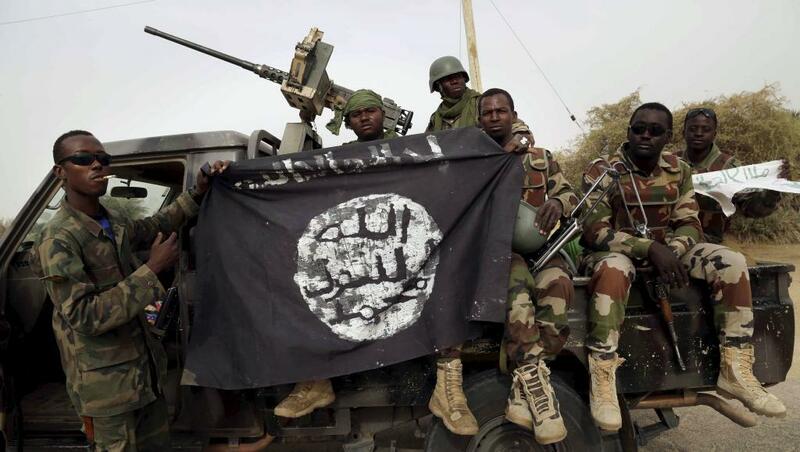 He attributed the attack to the Islamic State-supported Boko Haram faction headed by Abu Mus’ab Al-Barnawi, which has promised to hit military and government targets. “They have promised us that if their demands are met they will release us immediately to go back to the work we were caught doing,” the man added. There was no indication of where the video was shot but the convoy came under attack near Magumeri, some 50 kilometres (31 miles) by road northwest of Maiduguri. Most of the victims were soldiers and civilian militia members providing security. University of Maiduguri spokesman Danjuma Gambo confirmed the three kidnapped men were from the institution, whose campus in the city has been repeatedly targeted by Boko Haram suicide bombers in recent months. “They are our staff but one more is yet to be accounted for,” he told AFP. Experts said the attack — Boko Haram’s bloodiest this year — underscored the persistent threat posed by the jihadists, despite government claims the group is a spent force.